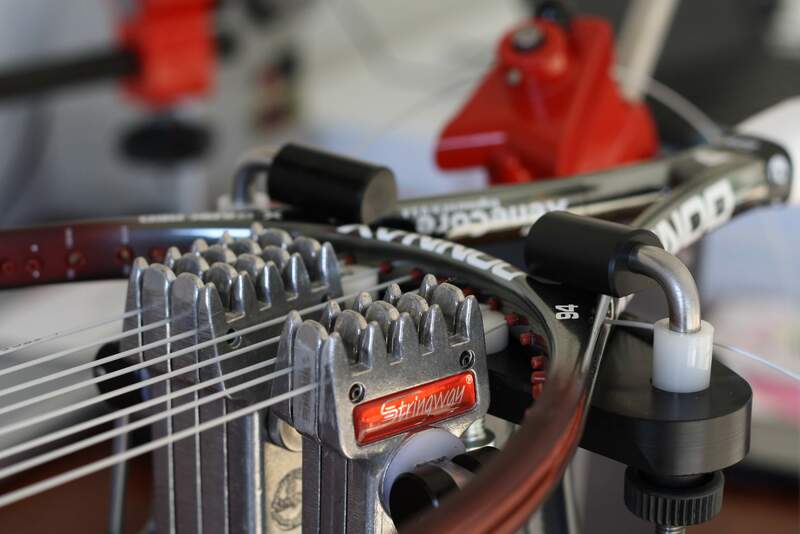 Would you like to have your tennis racquet strung with L-Tec tennis string installed with the JET Method? You’ve come to the right place. This is a new service I am offering to those who want to experience the best strings available for today’s modern tennis player. I am an authorized L-Tec JET Method stringer and have been trained by John Elliot and John Youngblood on the technique. More information on the JET Method can found here. How do I get my tennis racquet to you? Most of my clients ship their tennis racquets to me for the JET Method service. It seems that FedEx is the fastest and wallet friendly shipping method. I return ship the finished racquet in the same box. I nearly always ship out racquets the morning after the racquet has been strung, sometimes even the same day. Do I have to send you the L-Tec strings with my tennis racquet? No! I carry all L-Tec strings for every combination. How long does the JET Method service take? As soon as I receive your tennis racquet, I inspect it for any potential cracks or breaks in the frame (if there are cracks or breaks the racquet cannot be serviced and will be returned). As soon as racquet has cleared inspection, the JET Method begins. Racquet will be returned the following day of service. Depending on where you are in the USA, from start to finish could be 7 business days from when you send your racquet and you receive your racquet. There is no guarantee of delivery, though rush shipping can be available (at an additional charge). How do I know what the best L-Tec combination is for me? There is a 8 part questionnaire to determine which string combination is the best for you, which can be found here. How do you know what tension I would like for my tennis racquet? This is where you would have to think about when you like your current string set up the best. Specifically, when you like the feel of your strings the best; right after it comes off the machine, middle tension, before they break or need a restring? The JET Method is designed for low tension (52lbs or less), therefore if you like the feel of a racquet strung at 60lbs, I would suggest starting at 52lbs reference tension, though the ideal tension for L-Tec strings is 44lbs reference. How much does the JET Method service cost? Because this is a specific technique that requires more time than a normal string job, the charge is $45 per tennis racquet (includes string and labor), plus any applicable taxes. All payable by cash or PayPal. Discounts available for multiple tennis racquets in one shipment. Note that payment is due in full before racquet is returned to owner, an invoice will be sent electronically. Customer is responsible for shipping costs to me. Why is the JET Method and L-Tec strings so expensive? There is a reason for the cost of JET stringing compared to traditional methods. The JET Method paired with L-Tec will last you, generally, twice as long as a normal string job. Understand that there is a difference between normal lasting and JET lasting; JET will be playable twice as long, it’s not just the life of the string in the racquet. Specifically, the L-Tec strings are designed to loose minimal amounts of tension in the first 10-15 hours of play, not notch, and give you a more complete ball-to-string experience. The cost of the JET Method is where it is, because it does take 3 times as long as a traditional job, not to mention the time it has taken me to learn and perfect the JET Method. Alright, I’m in! I want the L-Tec + JET Method for my tennis racquet(s), what now? First, fill out the string selector, write down your recommended L-Tec Hybrid. Then, send me an email with this information. Do you do other non-JET Method stringing service? Yes, of course. I can string any racquet with any string you choose. The cost for regular stringing is $15 plus the cost of the strings. Please inquire for more information. I look forward to servicing your tennis racquet.